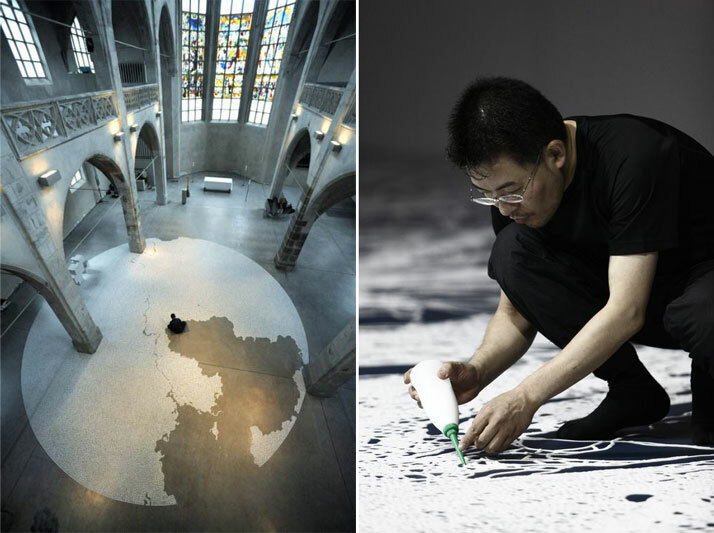 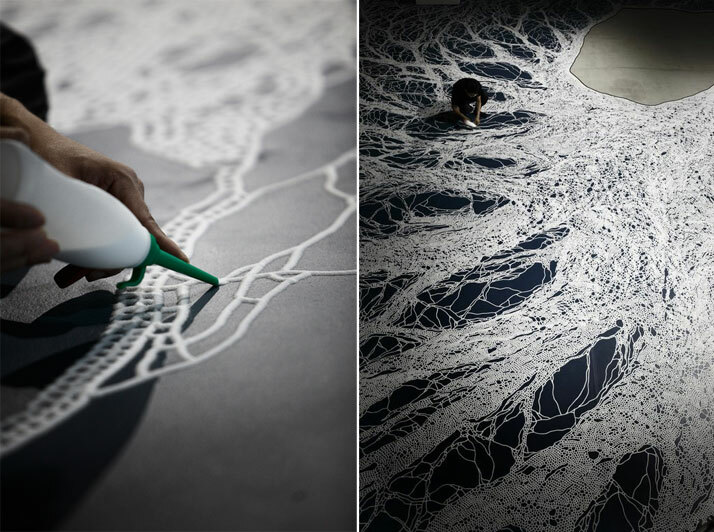 right: Motoi Yamamoto, making of a saltwork, photo by Makoto Morimura. 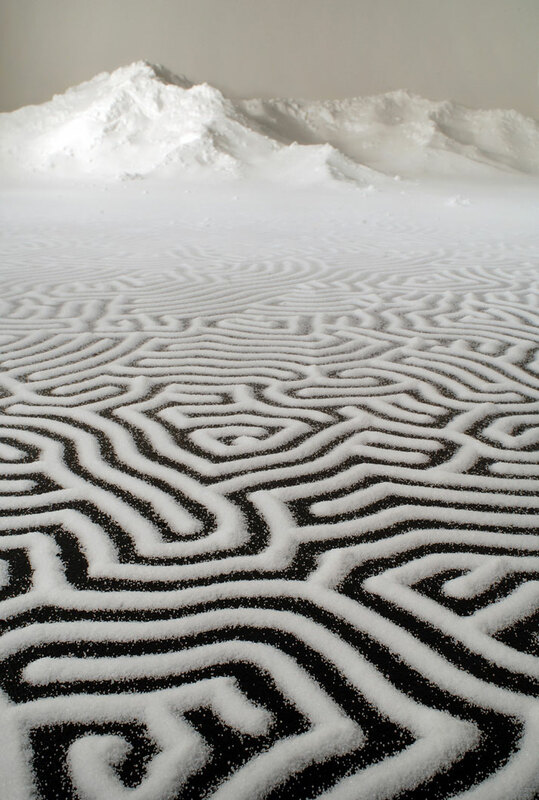 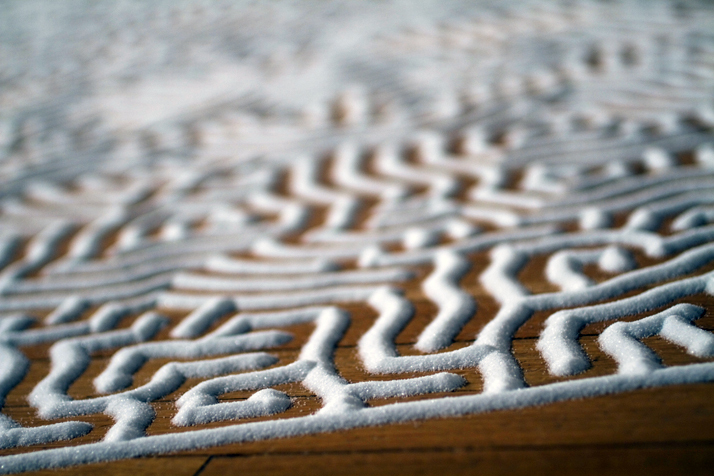 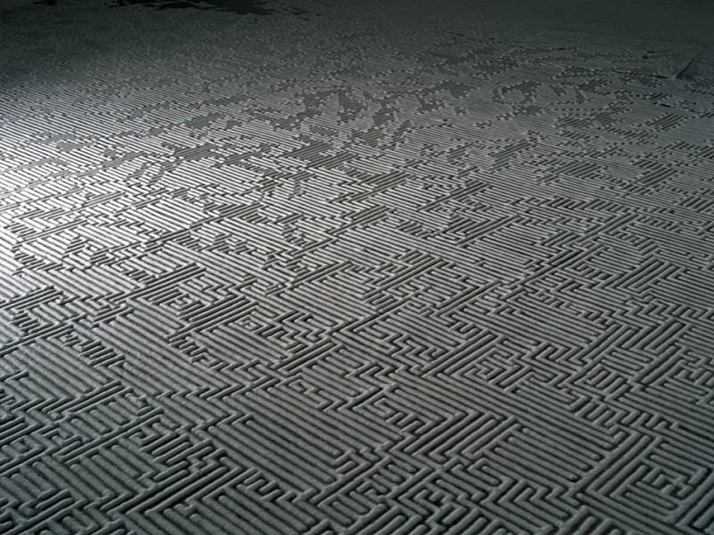 Regarding his work, the artist has said that: ''Drawing a labyrinth with salt is like following a trace of my memory. 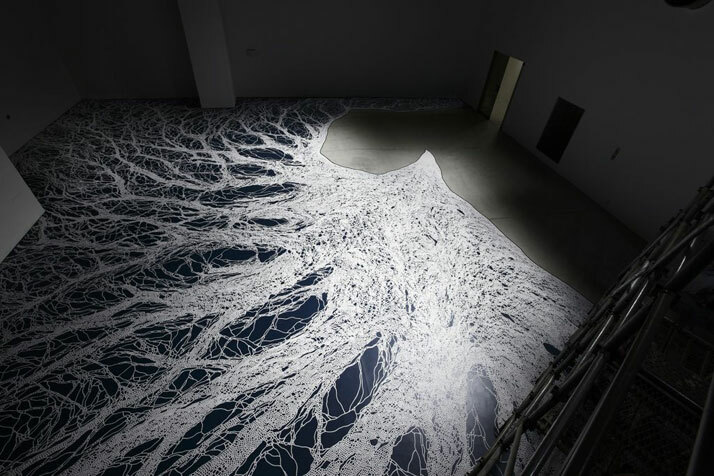 Memories seem to change and vanish as time goes by; however, what I seek is to capture a frozen moment that cannot be attained through pictures or writings. 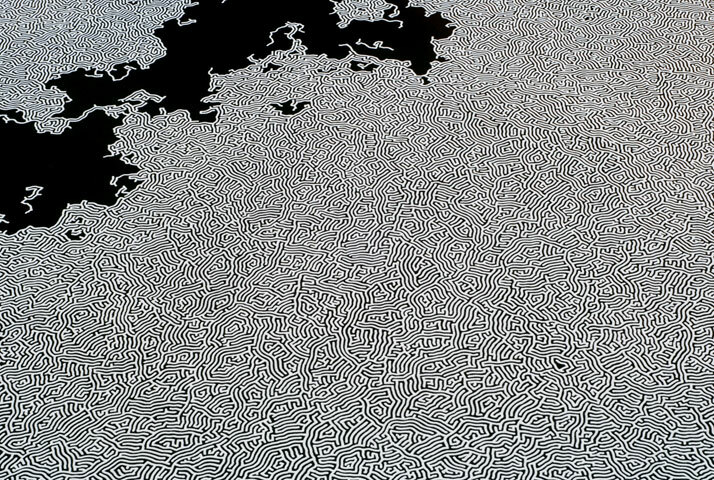 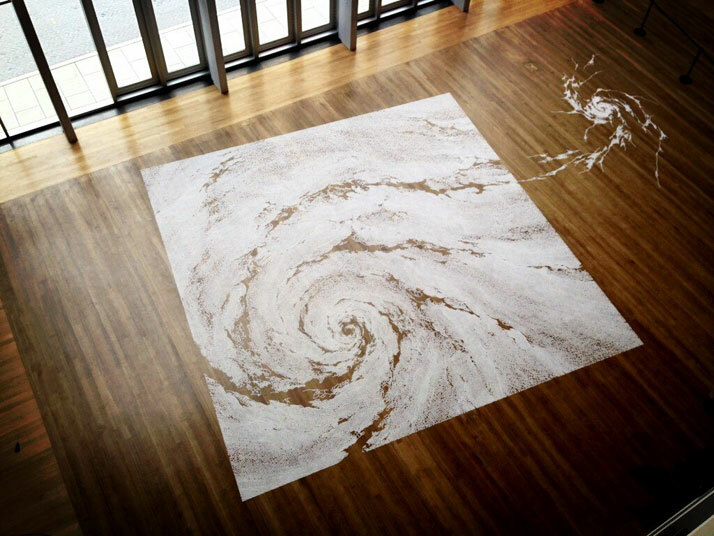 What I look for at the end of the act of drawing could be a feeling of touching a precious memory …'' For Motoi Yamamoto, his saltscapes act like a frequency that allows him to tune out of everything around him. 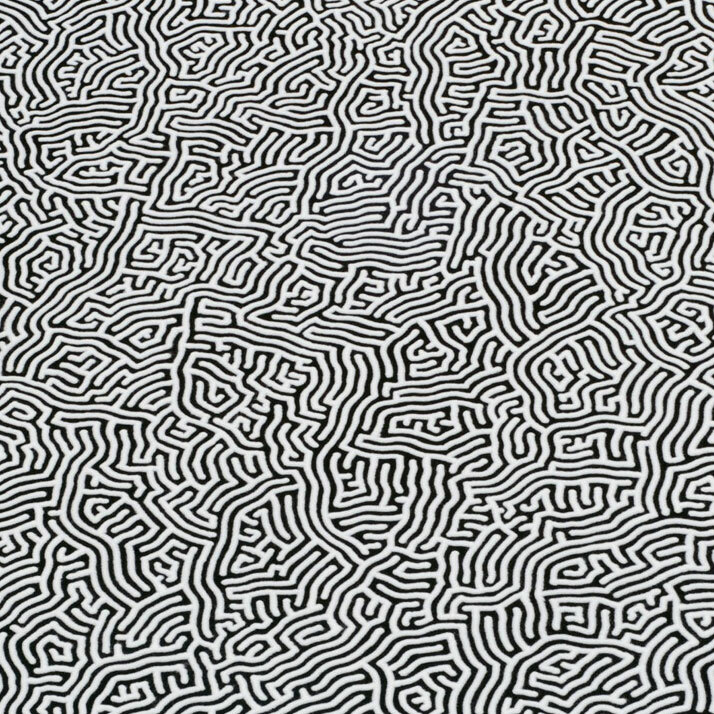 Almost like a meditation that is actually part of a never-ending healing process following his sister’s death due to severe brain cancer at the tender age of 24, it seems that it is also the artist’s way of never letting go of this ‘memory’ he speaks of. 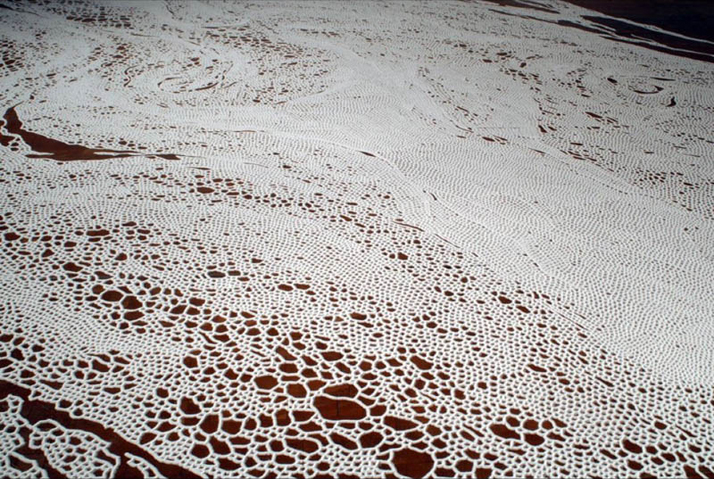 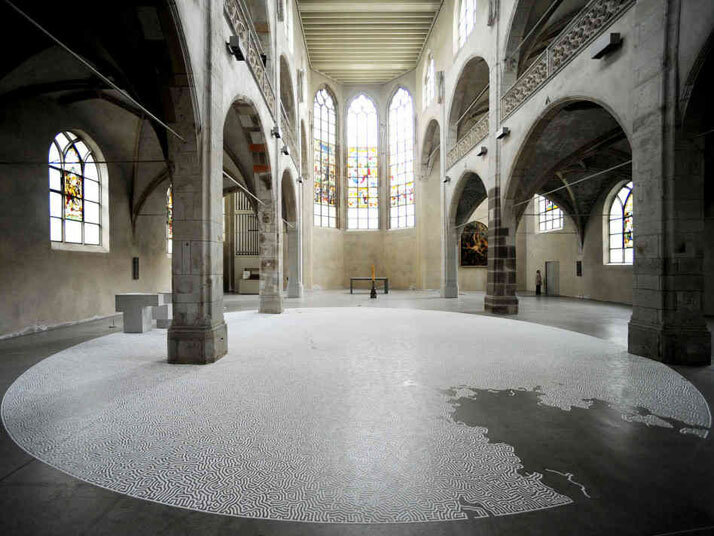 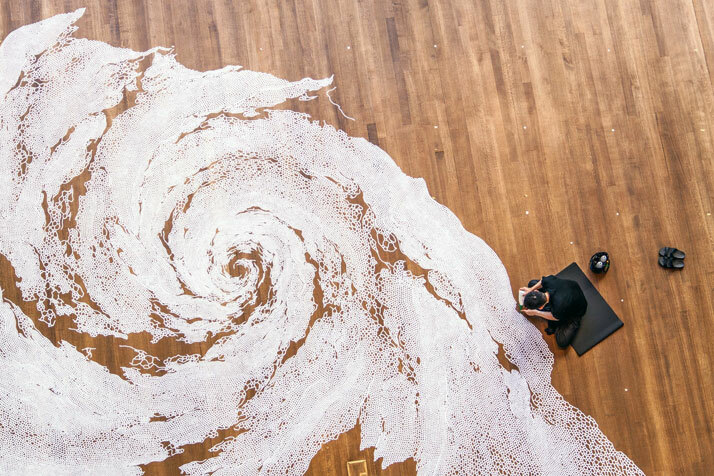 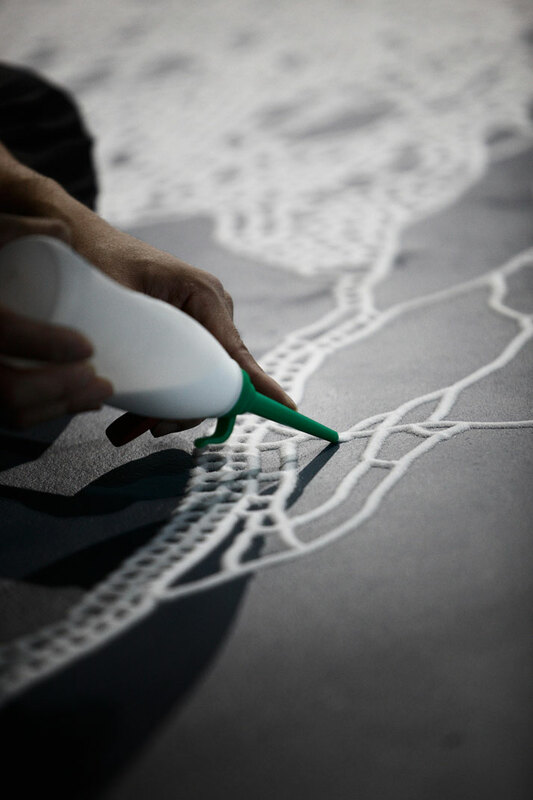 Motoi Yamamoto has been applying himself to his brilliant-white salt sculptures since 1994 and has dazzled the world – a world that is in constant motion and upheaval - with his diligence and serenity. 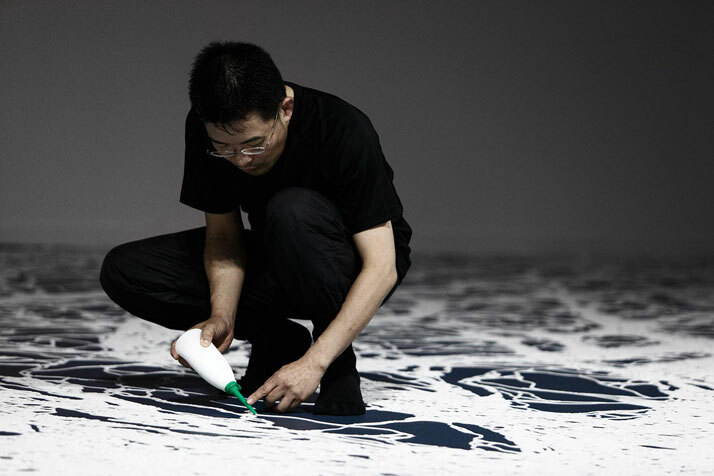 Transcending external movement and his own internal turmoil, he continues to pour himself entirely into this perpetual exercise, which so far, has lasted two decades. 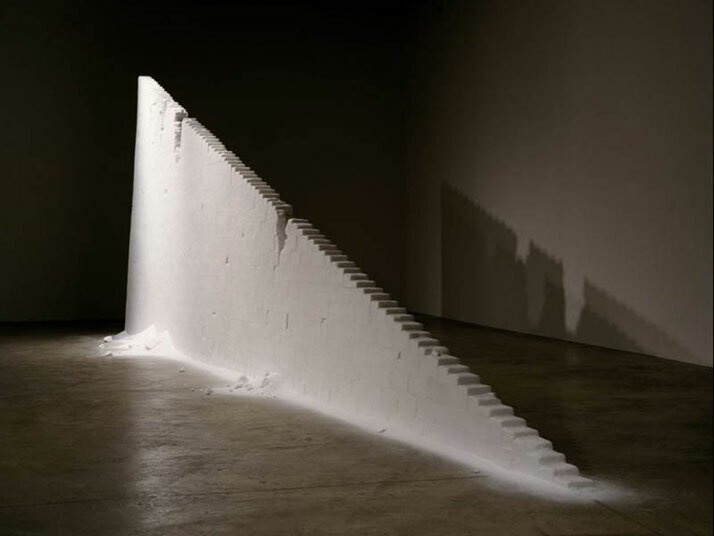 Halsey Institute of Contemporary Art, Charleston, SC, U.S.A.